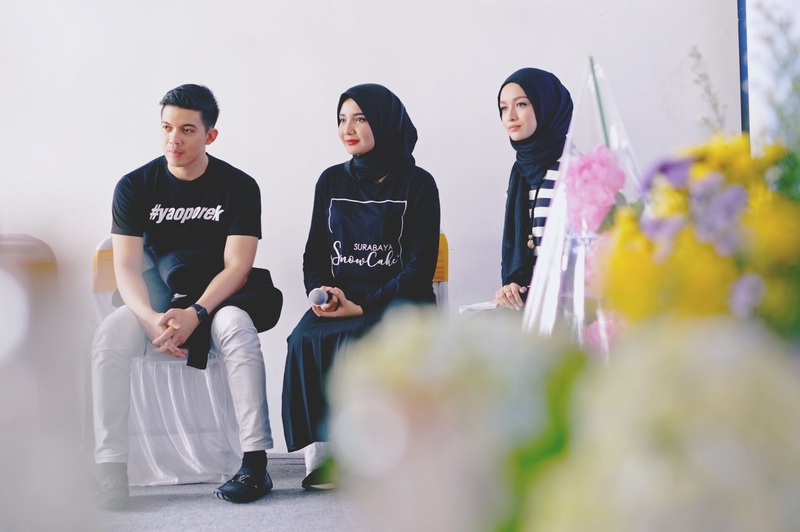 Probably almost a month ago, I got invited to a gathering event by the lovely Indonesian artist couple : Zaskia Sungkar and Irwansyah. 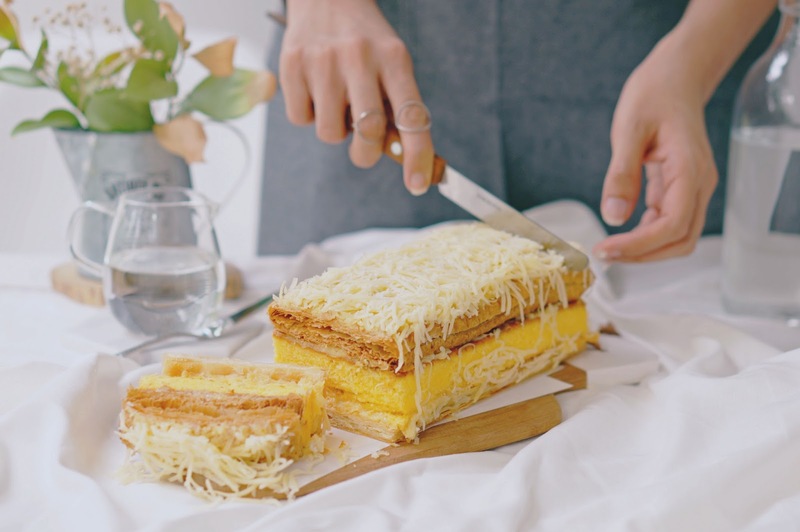 They both there to introduce to us about something that they have been working on for awhile, it's a cake, and they wanted it to be the signature cake from Surabaya after it launched. On that gathering event, we got the privilege to be the first one to try it, and to give feedbacks. Now, they finally open the store, and I want to share to all of you about this unique cake and where to get them! 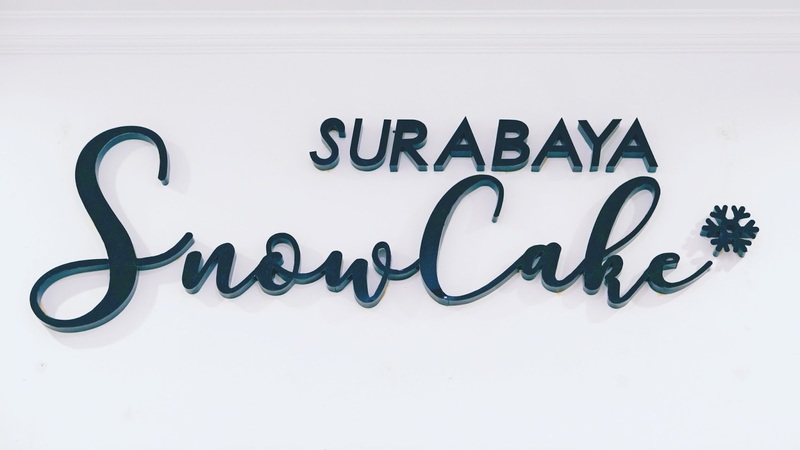 Surabaya Snow Cake Store is located in the center of Surabaya, a little bit to the east area. It is on Flores Street, near Old Wood Bistro & Bar. The store is actually the exact same place where they held their gathering awhile back on December, but at that time we were spotted outside the store. So now, after they launched, we can finally see how the store looks like on the inside. The store has a wide front terrace; they have a huge banner of Zaskia Sungkar along the side wall on the left, they still have the photo booth from the gathering last month, they have a bunch of chairs for people to sit when they queue up, they even have a Musholla on the right. 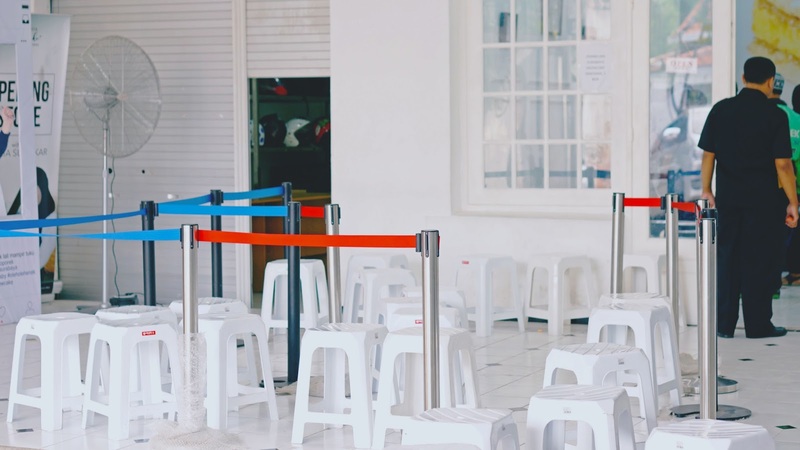 At that time when I came, there were quite a lot of people on the queue, and there was a security in front of the door of the store, as well as a spoke person who came to me and informed that they are running out of stock already! So what is Surabaya Snow Cake? 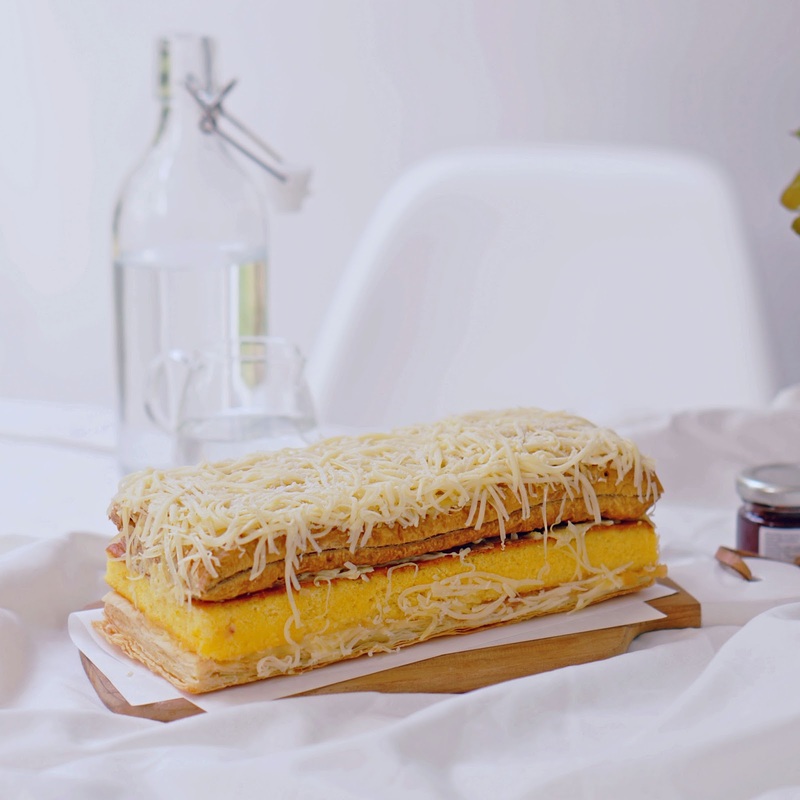 Surabaya Snow Cake is a three layered cake inspired from the famous Spikoe Surabaya. 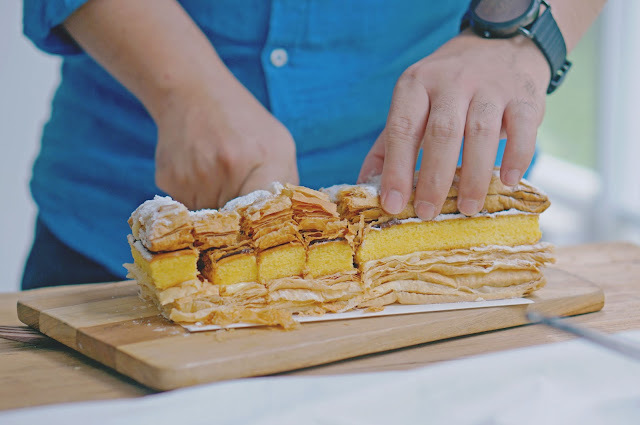 But instead of using all three layers with sponge cake, they take it to the next level by replacing the top and the bottom layer with a puff pastry. Not only that, they also add toppings and flavours to give you more choice to pick! Speaking of toppings and flavours, Surabaya Snow Cake has five of it, which are Vanilla/Original (55k), Cheese (59k), Caramel (55k), Chocolate Green Tea (59k), and Chocolate Banana (55k). People's favourite is definitely vary, depends on personal preferences. I haven't tried the Chocolate Green Tea and Chocolate Banana, but both of them are my friend's favorite (Vicky Yuwono). 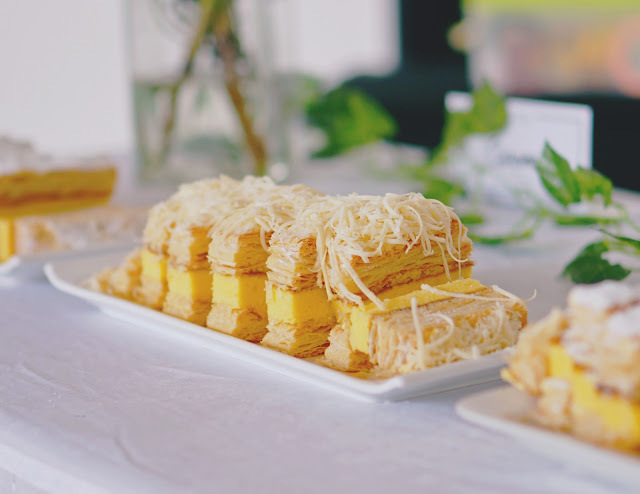 From the three flavour that I had tried, I would say my favorite is the cheese, because it has all the flavour from the saltiness of the cheese, the crunchy puff pastries, the cream, and also the sweetness of the sponge cake. If you love plain sweet cake, you can definitely go with the vanilla. And you should also try the Caramel, the runner up of my personal choice. 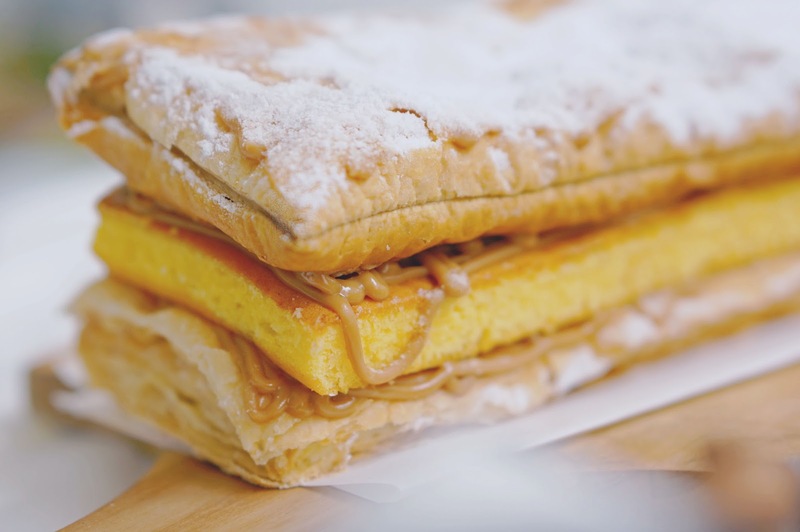 I always love how caramel taste, and it's projected strongly in this cake as they put the caramel sauce in between all the layers, so if you're a caramel lover, go for this one! You won't regret it. 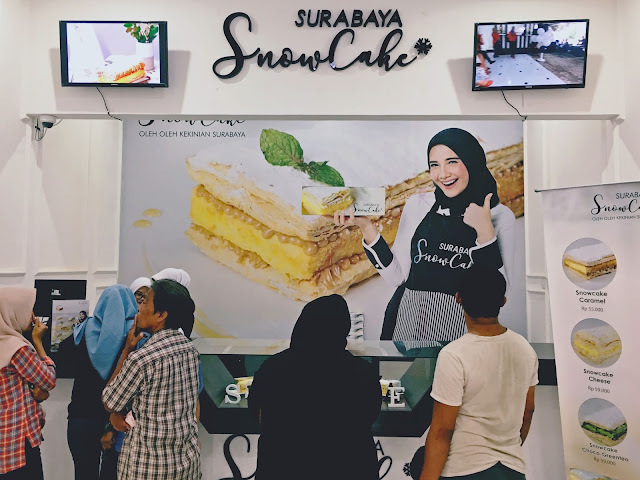 Overall, I would say I love Surabaya Snow Cake! It's new, it's unique, and it tastes good! 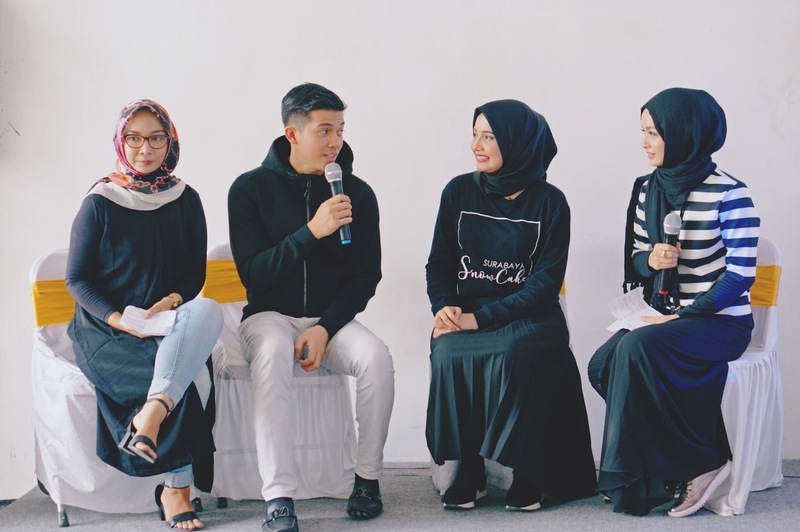 I honestly think that it's a great move from Zaskia Sungkar & Irwansyah to contribute something new in this culinary industry which demands constant creativity. They totally nailed it and I was really impressed with how it turns out. I definitely would recommend you guys to go and give this cake a try, let me know which one is your favorite in the comment section below, okay! I remembered the how long the line when Snow Cake Surabaya (Jl Flores) opened. Spent arroun 1-2 hour for queue. 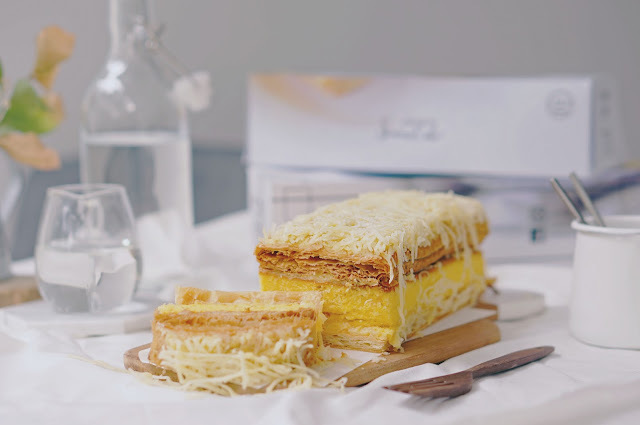 Personally, I think, snow cake Surabaya is similar with napoleon Medan by Irwansyah, her husband. They only change the orders of layers (isn't it?). 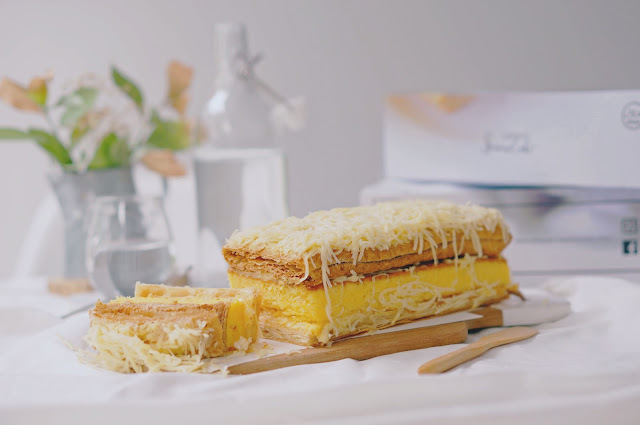 Well, I'm with you that Cheese Snow Cake is the best variant among others. The chocolate banana disappointed me, because I expect the sponge cake will have banana flavor, but it end up like original flavor but they put banana paste on it.